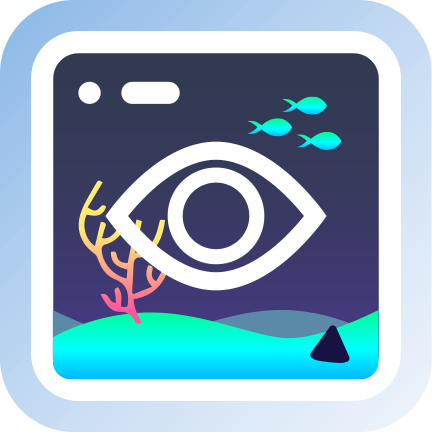 Use Augmented Reality to design and plan your next aquarium in your house, office, or place of fishy business. Aquarium Plan AR was created to solve three key issues all aquarists face. Will my new tank fit in my room? Does the placement of my aquarium work with my furnishes? Aquariums are expensive to ship, laborious to install, and once they are filled with water they do not move. It is CRITICAL that we have every tool possible to make sure we avoid any potential headaches. When I was starting as an early reefer, I used cardboard to make mockups of my future tanks and try them around the room. As that progressed I used Photoshop to fake the look. It was fun but it took a ton of time and if I wanted to see another size or angle, well that was hours spent. Aquarium PlanAR (see what I did there) allows you to quickly and easily create an aquarium of any dimensions, add a stand of any height, fill it with some fake-looking aquascape (version 1.0 crudeness) and place it in your room using the magic of augmented reality. PLEASE NOTE BEFORE DOWNLOADING: Low light rooms will have mixed results. Move the camera around the room slowly so that it gets the most accurate measurements. The camera is looking for textures to help it define surfaces. I sometimes need to try to place the aquarium 2 or 3 times to get it to size and not move properly. The technology is only getting better so I hope to improve the accuracy and time to place the aquariums with time. THE FUTURE! More features are coming in the future to allow you to even better plan your tanks. As with my other aquatic apps, I update them often as feedback is provided. I needed this app as much as you guys do, so I'll continue to work on it until it's sweet perfection.